(LAREDO) — The Mr. South Texas Foundation (MSTF) yesterday (Monday) awarded $1,000 scholarships to 11 potential future Mr. South Texas honorees from Laredo high schools, Laredo Community College and Texas A&M International University today. "These outstanding students personify our foundation's motto—From Scholarship to Leadership," said Senator Judith Zaffirini, MSTF president. "I am delighted to recognize them because they have not only excelled in academics and extracurricular activities, but also demonstrated commitment to community service and dedication to family. We are proud of their achievements and expect them to surpass these accomplishments." 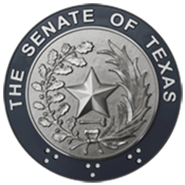 When the Washington's Birthday Celebration Association named her Mr. South Texas in 1999, Senator Zaffirini established the MSTF and raised the money for the annual scholarships. Her goal was to honor students deemed the most likely future Mr. South Texas honorees and who would pledge to return to South Texas. Celebrating its 19th anniversary, the foundation has provided $183,000 in scholarships to 183 Laredo students. Selection criteria include a commitment to live in South Texas after college graduation, a minimum "B" average in high school, minimum 90 percent attendance, exemplary character and leadership potential. "Investing in promising students pursuing higher education benefits our state and region," Senator Zaffirini said. "Higher education will equip these future leaders with the knowledge and skills they need to continue to excel and to help countless others throughout their lives." The scholarship presentation ceremony was hosted at Texas A&M International by Dr. Pablo Arenaz, the university's president; Dr. Thomas Mitchell, Provost and Vice President for Academic Affairs; and Dr. Minita Ramirez, Dean of Student Success. For additional information regarding the scholarship, please contact the Mr. South Texas Foundation at 956/722-2293. 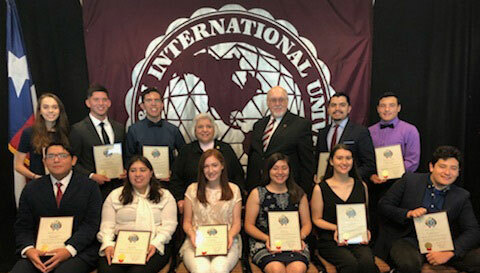 HIGH-ACHIEVING STUDENTS from Laredo high schools and higher education institutions receive the Mr. South Texas Scholarship at a ceremony Monday at Texas A&M International University. Shown standing (L-R) are Lauren Meléndez, Kevin Zamora, Leonardo David Escamilla-Cavazos, Senator Judith Zaffirini, Texas A&M International Interim President Dr. Pablo Arenaz, Roberto Ponce and John Edward Molina; and seated (L-R) Felipe Jesús Rodríguez II, Vilma Guzmán, Lauren Moore, Amy Cortina, Priscilla Camero and Juan Miguel Cervantes.